Arzheimer, Kai. “Working Class Parties 2.0? Competition between Centre Left and Extreme Right Parties.” Class Politics and the Radical Right. Ed. Rydren, Jens. London, New York: Routledge, 2013. 75–90. The propensity of workers to vote for the Extreme Right has risen significantly. This “proletarisation”” is the result of the interplay between a long-term dealignment process and increasing worries amongst the European working classes about the immigration of cheap labour. As a result, Western European Centre Left parties may find themselves squeezed between the New Right on the one hand and the New Left on the other. There is no obvious strategy for dealing with this dilemma. Staying put will not win working class defectors back. Toughening up immigration policies is unpalatable for many party members, does not seem to make Social Democrats more attractive for working class voters, and might eventually alienate other social groups. Over the last three decades, parties of the “radical”, “populist” or “extreme” right have become an almost ubiquitous feature of Western European party systems. During this “third wave” (Beyme, 1988) of radical right mobilisation, preexisting parties modified their ideological profiles (e. g. the Austrian Freedom Party, the Swiss People’s Party, the Scandinavian Progress Parties), and many more completely new parties emerged. While some of them were nothing more than a flash in the pan (e. g. New Democracy in Sweden, see Taggart 1996), others found more durable electoral support. As of today, almost all Western European political systems had to adjust (at least for a couple of years) to sustained Extreme Right mobilisation. Initially, many observers interpreted these developments as a throwback to the Extreme Right’s inter-war onslaught on democracy (e.g. Prowe, 1994). But soon it became clear that the more successful amongst these parties departed in a crucial way from the political stances of the interwar extreme right movements and parties. Following the highly successful strategy of the French National Front (Rydgren, 2005), they abandoned biological racism, hyper-nationalism, and open hostility towards liberal democracy and instead made immigration (or more specifically the influx of non-West Europeans into Europe) their main issue. For that reason, some authors branded the emerging new party family simply as “anti-immigrant” (e.g. Fennema, 1997; Fennema and Pollmann, 1998; van der Brug, Fennema and Tillie, 2000; Bjørklund and Andersen, 2002; Gibson, 2002; Boomgaarden and Vliegenthart, 2007; Art, 2011), whereas others disputed the “single-issue thesis” (Mitra, 1988; Mudde, 1999) or argued for a more nuanced classification of subtypes (e. g. Kitschelt, 1995; Fennema, 1997; Mudde, 2007). While there are important differences amongst the “new” parties on the right in terms of their political traditions, policy positions, and general political style, these parties also display important similarities that set them apart from the Centre Right. Therefore, they should be grouped into a single (if very heterogeneous) party family. While some of these parties harbour extremists and many of them are highly critical of single aspects of liberal democracy (most prominently minority protection), very few of them pursue a transition to authoritarian rule. Immigration of non-western European people into Western Europe is not the only, but the single most important issue for all members of this party family. Mobilisation against immigrants and immigration is crucial for their electoral success. Moreover, there is broad agreement that the rise of the Extreme Right presents politicians in Western Europe with a set of formidable challenges. First and foremost, their electoral success raised important questions of legitimacy. Did a vote for the Extreme Right indicate a more general lack of trust in the elites, or even a rejection of the democratic system? Was there reason to fear new “shadows over Europe” (Schain, Zolberg and Hossay, 2002), i. e. a return to the confrontational and often violent politics of the 1920s and 1930s? Should the existing parties engage in a dialog with their challengers or just ignore them? Third, and perhaps closest to the hearts of politicians, the zero-sum nature of electoral competition implies that the emergence of a new party family will bring about losses for existing parties in terms of votes, seats and eventually even ministerial portfolios. But which parties would suffer most? 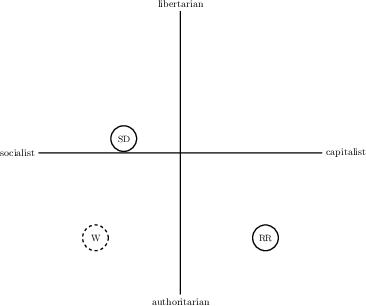 From the party family’s moniker, one might be tempted to assume that the Centre Right had most to lose from the emergence of the Extreme Right, at least if voters primarily care about issues: In a classical Downsian (1957) perspective, demand for right-wing policies is fixed at least in the short- and medium term, and – depending on party positions and voters’ ideal points – the entry of a new competitor would significantly reduce the vote share of the Centre Right parties. If voters behave in line with a directional model (Merrill and Grofman, 1999), the outlook for the Centre Right is even starker, as voters who disagree with their radical policies may still vote for the Extreme Right for tactical reasons. Aggregate trends of electoral support of electorate support in 16 Western European countries from the six decades since the end of World War II seem to corroborate these arguments: While support for the right as a whole3 has been largely stable, Christian democratic parties have on average lost about five percentage points of their electorate support while the Far Right could increase their share of the vote by almost seven points (Gallagher, Laver and Mair, 2011, 301). Taking a more analytical approach, Kitschelt (1994, 1995) argued almost 20 years ago that a shift of the “main axis of partisan competition” was underway that would pit the New Left against the Extreme Right and present the Social Democratic/Centre Left parties with a conundrum: They would lose many of their more liberal voters to the parties of the New Left because they did not adequately represent the issues of the “New Politics” (Flanagan and Lee, 2003). At the same time, the Extreme Right would seize a sizable fraction of the working class vote, because the Centre Left had allegedly lost touch with their traditional voter base Bale (2003, 70-74). But why would working class voters turn to the Extreme Right? Historically, support for the post-war Extreme Right had chiefly come from the “petty bourgeoisie” of artisans, small shop-keepers and farmers that made up the lower strata of the middle classes. This constituency was authoritarian and staunchly anti-communist/anti-socialist. Working class voters, on the other hand, were often embedded in a network of trade unions and similar intermediate organisations, held strong preferences for redistribution, and were firmly attached to traditional left parties. Even if many voters (and some of the rank-and-file members) of these parties expressed a healthy degree of working-class authoritarianism (Lipset, 1959), elites and opinion leaders within the traditional working classes were firmly committed to principles of equality and international solidarity. Therefore, the idea of a large-scale swing from the Centre Left to the Extreme Right would have looked rather far-fetched three or four decades ago. Through twin processes of de-alignment (Dalton, Flanagan and Beck, 1984) and social change (Crouch, 1999), however, swathes of the (non-traditional) working class have become available for other parties than the traditional left. Moreover, the Extreme Right has modified its programmatic appeal considerably over the six decades since the end of World War II, thereby becoming more palatable for members of the working class. Perhaps the most radical interpretation of these programmatic changes was developed by Herbert Kitschelt in a highly influential monograph (Kitschelt, 1995). Kitschelt argued that under conditions of economic globalisation, workers outside the public sector would develop a taste for free market policies. At the same time, they would remain authoritarian with respect to their socio-cultural attitudes. According to Kitschelt, catering for these twin demands was the electoral “winning formula” that fuelled the unprecedented successes of the French National Front and the Austrian Freedom Party during the 1980s and early 1990s. A similar argument was developed by Betz in his seminal monograph (Betz, 1994). 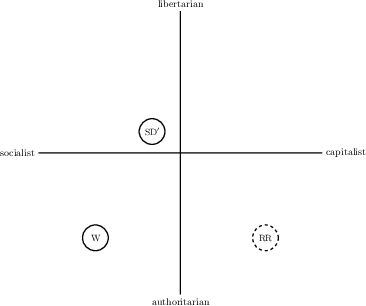 Figure 1, which slightly simplifies the presentation in Kitschelt (1995), shows the respective policy positions of Social Democratic, old style “Welfare Chauvinist” and more modern “Radical Right” parties. In hindsight, however, the Extreme Right’s flirt with “neoliberalism” – presumably not a very serious affair in the first place – proved short-lived and inconsequential (de Lange, 2007). Within a few years after the publication of Kitschelt’s book, many Extreme Right parties had gone all the way from vocal champions of neoliberalism to globalisation critics, and the allegedly outdated “welfare chauvinist” strategy that campaigns for a strong but ethnically exclusionary welfare state had gained a lot of currency in Far Right circles. Consequentially, Betz (2003) has altoghether abandoned the idea that the Extreme Right does seriously pursue a “neo-liberal” agenda or has done so in the past, while Kitschelt has modified his original ideas considerably (McGann and Kitschelt, 2005). Moreover, more recent research (Arzheimer, 2009b) demonstrates that there is no working class demand for “neo-liberal” policies. Where both members of the working class and the petty bourgeoisie support the Extreme Right, they tend to disagree on economic policies and cast their vote because the salience of economic issues is low (Ivarsflaten, 2005). But even if the mid-1990s accounts by Betz and Kitschelt were wrong in their diagnoses, they clearly identified a very important symptom: Since the early 1980s, the Extreme Right has undergone a process of “proletarization and (uneven) radicalisation” (Ignazi, 2003, 216). At least for the relatively successful parties (e. g. the Austrian Freedom Party, the Norwegian Progress Party and the French National Front), there is some evidence for a trend from electorates that were heterogeneous or centred around a core of voters from the petty bourgeoisie towards more working class-dominated constituencies (Beirich and Woods 2000; Betz 2002; Bjørklund and Andersen 2002; Mayer 1998, 2002; Riedlsperger 1998; Rydgren 2003; see Oesch 2008 for a comparative cross-sectional analysis of Austria, Belgium, France, Norway, and Switzerland). While many authors frame these worries as “resentment” and interpret the underlying policy dimension primarily in terms of “culture” and “identity”, one should not ignore the fact that concerns about immigrants and immigration have clear economic underpinnings: The vast majority of immigrants in Western Europe are unskilled or semi-skilled workers. Obviously, members of the working class are much more likely to perceive these persons as an economic threat than middle class voters, who might actually benefit from the additional supply of cheap labour. On the whole, research since the mid-1990s suggests that patterns of party competition and class voting have indeed changed, although in a way that is quite different from Kitschelt’s original reading of the situation (see figure 2). Instead of converging on the “Radical Right” strategy, parties of the Extreme Right are looking for a (not very) “new winning formula” (de Lange, 2007) and have incorporated elements of “welfare chauvinism” into their manifestos, although to a varying degree. Social Democratic parties, on the other hand, have cautiously moved to more economically centrist (and arguably more socially liberal) positions in a bid to respond to the new challenges of the 21st century and to become more attractive for middle-class voters (see Keman 2011 for a comprehensive analysis that outlines the extent of this shift in 19 polities). This programmatic change opened up additional space for the Extreme Right and made it even easier for them to poach working class voters from the Centre Left. That raises the question whether there is anything the Centre Left can do about this development. The remainder of this chapter is organised as follows. Section 2 gives a brief overview of the data base and the statistical models and methods used for its analysis. Section 3 presents a comparative longitudinal analysis of the “proletarisation” of the Western European Extreme Right Vote since 1980. Section 4 directly looks at the competition between Extreme Right and Centre Left parties for the working class vote. Finally, section 5 briefly summarises the findings. The analyses presented in the following sections cover the member states of the European Union (EU) as it existed before the Eastern enlargement rounds, plus Norway. 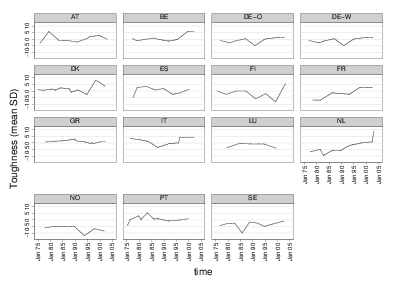 Survey data come from the Mannheim Eurobarometer Trend File (Schmitt et al., 2009a,b), a partial cumulation of the bi-annual series of Eurobarometer surveys that greatly facilitates cross-national and longitudinal analyses. The temporal coverage of these data spans the whole period of the Extreme Right’s electoral ascendancy during the 1980s and 1990s, as well as a few years of the new millenium. There are, however, a few gaps: Data for Austria, Finland, Sweden and Norway are not available for the whole period. Moreover, surveys without any supporters of the Extreme Right had to be excluded, which removed the United Kingdom and the Republic of Ireland from the analysis.8 Figure 3 gives a graphical overview of the spatial and temporal coverage. In order to model contextual effects on right-wing voting, the Eurobarometer surveys were augmented with macro data. Information on unemployment rates and unemployment benefits comes from the OECD (2002; 2003; 2004), while data on new asylum applications – in the Western European context, a very useful proxy for actual immigration figures – were taken from reports compiled by the OECD and the Office of the United Nations High Commissioner for Refugees (OECD, 1992; UNHCR, 2002). To account for the hierarchical nature of the data (respondents are nested within 336 survey waves that were conducted in 15 polities), binary logistic multi-level models are specified. Because the Extreme Right is persistently stronger in some countries (e. g. Belgium and France) than in others (say Spain and Germany), stable unit (country) effects are represented by a series of dummies.11 These dummies are also required to control for changes in the national composition of the sample over time. Specifying country effects leaves just two levels of analysis: voters, and the particular contexts in which they were interviewed. All models were estimated using the xtlogit procedure in Stata 11.2. Checks indicate that the number of quadrature points used was sufficient to guarantee stable estimates. The idea of a “proletarisation” (Ignazi, 2003) of the Western European Extreme Right features prominently in the literature, but very little comparative cross-temporal empirical evidence for this alleged development has been presented so far. With the Eurobarometer Trend File, however, it is possible to trace the purported trajectory of the Extreme Right’s electorate. The left column (1) of table 1 shows the estimates from a simple socio-demographic multi-level model of Extreme Right voting in Western Europe. The model is based on just under 255000 interviews. As can be seen from the coefficients, being unemployed or belonging to the working class or the petty bourgeoisie considerably increases the chances of an extreme right vote, compared to the “other” category. Either factor increases the logit of an Extreme Right vote by 0.4 to 0.5 points. Being retired, on the other hand, does not make an appreciable difference. The exact impact of this increase depends on the fixed country effects but is roughly proportional to a 50 per cent change in the probability of the Extreme Right vote. In Austria, for instance, members of the “other” group have an estimated probability of just under 15 per cent of voting for the Freedom Party. For workers, the estimated probability is almost 22 per cent. The term proletarisation, however, implies change over time. In the right column (2) of table 1, the membership indicator were interacted with an additional variable that represents the time (in months) at which the survey was taken. In order to minimise collinearity, the variable was centred so that it takes a value of zero for March 1991, which is the midpoint of the period under observation. Given the huge range of the time variable (see table 2), it is not surprising that the estimated coefficients are very small. Nonetheless, the picture that emerges is remarkably clear. The effect of being a pensioner is essentially stable, while the effect of being unemployed increases only very slightly over time. The effect of being a member of the working class, on the other hand, becomes considerably stronger with time, while the effect of belonging to the petty bourgeoisie becomes weaker at roughly the same rate. Taken together, these results show that the Extreme Right electorates indeed underwent a process of proletarisation between 1980 and the early naughties. Moreover, these findings cannot be ascribed to changes in the composition of the sample (i.e. the accession of Greece, Spain and Portugal to the European Union during the 1980s and the 1995 enlargement), because fixed country effects are controlled for. Therefore, the interaction effects represent common trends across all 15 polities. This constitutes the first truly comparative and longitudinal evidence for a general proletarisation of the Extreme Right vote in Western Europe. But how important are these trends in substantive terms (i.e. votes and seats)? Again, the exact size is context-dependent and most easily illustrated by calculating estimates for an arbitrary country. The estimated vote share of the Danish Extreme Right amongst workers in 1980, for instance, was just under two per cent, while the respective figure for members of the Danish petty bourgeoisie was about three per cent. In 2002, the estimate for the petty bourgeoisie was eight per cent, while the figure for the working class has risen to almost 13 per cent. Although the Extreme Right has made considerable inroads into both groups, the ratio of the respective propensities to vote for the Extreme Right has been reversed. Therefore, it makes indeed sense to talk about a proletarisation of the Extreme Right vote. This trend is further amplified by the fact that the petty bourgeoisie is shrinking even faster than the working class. One should, however, not throw out the baby with the bath water: Precisely because the working class is in decline, there is a natural limit to this process. Moreover, while social class has obviously lost some of its previous importance (Clark, Lipset and Rempel, 1993; Nieuwbeerta and Graaf, 2001), its effect on the probability of voting for the traditional left has by no means disappeared completely (Evans, 2001). Thus, the next section section will look specifically at the competition between Extreme Right and Social Democratic parties over the working class vote. In their recent analysis of Social Democratic reactions to the rise of the Extreme Right, Bale et al. (2010) have usefully identified three elements of this challenge, and three strategies available to the Centre Left: The presence of Extreme Right parties will heighten the salience of “right” issues in general, can increase the number of potential coalition partners for the Centre Right, and may lure working class voters away from the left. Social democratic parties can respond by holding on to their traditional relatively tolerant position towards immigrants, by trying to “defuse” the immigration issue, or by shifting their position (Bale et al., 2010, 412). As Bale et al. (2010, 413-414) point out, the effectiveness of the “defuse” strategy is very limited, making the first strategy the default, as Social Democratic party elites are normally committed to values of tolerance and international solidarity. Therefore, they will find it difficult to abandon their support for relatively liberal immigration policies to avoid political losses. Such normative convictions seriously restrain the Centre Left’s room for manoeuvre. Nonetheless, the qualitative analysis of developments in Austria, Denmark, the Netherlands and Norway by Bale et al. shows that Social Democratic parties have sometimes modified their positions on the immigration dimension (see Bale et al., 2010, 421 for an overview). A quantitative analysis (see figure 4) of the CMP-Data provides further evidence for such programmatic shifts: Although there is considerable national variation, Social Democratic parties in many countries including Germany, Denmark, Finland, France, Italy, and the Netherlands have taken consistently tougher stands on issues of migration and national identity over the years. But how do working class voters respond to this repositioning of the Centre Left? The left column (1) in table 4 gives the estimates for the coefficients of a very simple baseline model. The sample is restricted to working-class respondents who intend to vote either for a Social Democratic party (0) or and Extreme Right party (1). The model features a single sociodemographic control to account for the well-known gender gap, and a linear (in the logits) trend factor. Like the models in the previous section, the model also contains fixed country effects to account for stable differences between polities. Estimates for these effects (not tabulated) are very low in countries as diverse as Germany (-3.3), Spain (-6.3), Finland (-4), Luxembourg (-4.6), Portugal (-5.7), or Sweden (-5.2), which implies that in these countries, the odds of a Social Democratic vote are between 27 (exp(3.3)) and 545 (exp(6.3)) times higher than the odds of an Extreme Right vote. There is, however, a set of countries including Austria (-1.7), Belgium (-2), Denmark (-2.2), France (-2.4), and particularly Italy (-.65), where the odds of an Extreme Right vote are much higher in comparison. While the result for Italy might be due to the fact that the AN as the largest relevant party in the country has become relatively moderate since the 1990s, the findings for the other countries are striking: Across the board, a Social Democratic vote is only between 5.5 and 11 times more likely than an Extreme Right vote in this core constituency of the Centre Left. Moreover, the trend factor indicates that the odds of an Extreme Right vote have risen considerably over time: If one is prepared to take the model estimates at face value, the odds of a working class respondent voting for the Extreme Right increases by a factor of almost 13 (exp(0.0098 × 261)) between the first and the last survey wave. Even if one takes potential deficiencies of the data and model specification into account, this clearly demonstrates that Social Democratic parties are losing support amongst working class voters. While this is certainly an interesting finding in itself, time is chiefly used as a control in a second series of models (columns (2) and (3)) that build on Arzheimer’s (2009a) contextual model of Extreme Right voting.13 This amended model allows for a direct test of the viability of two of the strategies outlined by Bale et al. as well as for an indirect test of the third. Since some elections were contested by two or more parties that were classified as Social Democratic by the CMP, Social Democratic ideology was operationalised in two variants: “Toughness” refers either to the most right-leaning party (column (2)) or to the average of all Social Democratic party positions, weighted by the respective party’s share of the vote (column (3)).14 However, the way Social Democratic ideology is measured makes virtually no difference. According to this second set of estimates, the trend towards more Extreme Right voting is slightly less pronounced15 once the additional contextual variables are taken into consideration. Nonetheless, given its wide range time still has the strongest effect amongst all covariates. The level of welfare state protection as measured by the OECD’s standardised wage replacement rate for the unemployed also has a strong positive effect on the probability of an Extreme Right vote. Raising the standards from the first to the third quartile of its empirical distribution (see table 4) will almost quadruple the odds of a right-wing vote. Given the Extreme Right’s rediscovery of centre-left leaning policies, this could be interpreted as a result of “welfare chauvinism” and (perceived) ethnic competition (Bélanger and Pinard, 1991) over a resource that is still plentiful. However, an alternative explanation is at least as plausible: Only if the welfare state is seen as safe and can be taken for granted, workers will turn from Social Democratic parties towards the Extreme Right. Another factor that has a strong effect on the electoral prospects of the Extreme Right is the salience of their issues for other parties (excluding the Social Democrats). The more statements other parties make on questions of immigration, national identity and the like, the better the Extreme Right does in the polls, irrespective of the direction of these statements. Since objective factors such as unemployment and new asylum applications (which have weak or insignificant effects) are statistically controlled for, this finding can be interpreted as evidence for an agenda setting effect (Arzheimer, 2009a). Ideological variation in the manifestos of other parties has a moderate negative effect on right-wing voting, whereas ideological “toughness” (i.e. attempts by mainstream parties to steal the immigration issue) does not shift the balance between the Extreme Right and the Social Democrats. Taken together, the effects of salience and ideological variation indicate that a strategy of issue diffusion could be viable in principle, if (and only if, as the Social Democrats can hardly shape political discourse singlehandedly) the other mainstream parties co-operate. While this test of the “defuse” strategy might be somewhat indirect, the efficiency of the “hold” and “adopt” strategies can be more readily assessed by looking at the estimates for the “toughness” and salience variables that refer to Social Democratic parties. Neither of them has a significant effect on the odds of voting for the Extreme Right. Put differently, in this core constituency of the Centre Left, it does not make a difference whether the Social Democrats stick to their traditional positions on immigration or whether they try to toughen up their policies. Either way, their fortunes vis-a-vis the Extreme Right are largely determined by external factors and an overall negative trend. The null effect of salience provides an interesting correlate. This variable takes a value of zero if Social Democrats completely ignore the issues of the Extreme Right, which is equivalent to a very radical “defuse” strategy, whereas positive values represent attempts to engage with the issue by making affirmative and/or critical statements. The insignificance of the coefficient provides further evidence for the assertion that a “defuse” strategy is only viable if pursued in concert. After World War II, parties and movements of the Extreme Right were most closely associated with the petty bourgeoisie. Over the last three decades, however, the propensity of workers to vote for the Extreme Right has risen significantly. This “proletarisation” is the result of the interplay between a long-term dealignment process and increasing worries amongst the European working classes about the immigration of cheap labour. As a result, Western European Centre Left parties may find themselves squeezed between the New Right on the one hand and the New Left on the other. The analyses in the previous section have shown that there is no obvious strategy for dealing with this dilemma. Staying put will not win working class defectors back. Toughening up immigration policies is unpalatable for many party members, does not seem to make Social Democrats more attractive for working class voters, and might eventually alienate other social groups. That leaves what Bale et al. have called the “defuse” option, i.e. efforts to downgrade the immigration issue. In democracies, however, a single party can not normally sustain control over the political agenda. Any attempt to de-politicise immigration would therefore require some sort of agreement amongst mainstream parties. Given that Centre Right (Bale, 2003) and (for completely opposite reasons) even New Left parties might have a strategic interest to keep the debate on immigration alive, this is not a very likely outcome. In all probability, the working class parties “of a new type” will keep poaching voters from the Social Democrats. Art, David. 2011. Inside the Radical Right. The Development of Anti-Immigrant Parties in Western Europe. Cambridge: Cambridge University Press. Arzheimer, Kai. 2009a. “Contextual Factors and the Extreme Right Vote in Western Europe, 1980–2002.” American Journal of Political Science 53(2):259–275. Arzheimer, Kai. 2009b. “Protest, Neo-Liberalism or Anti-Immigrant Sentiment: What Motivates the Voters of the Extreme Right in Western Europe?” Zeitschrift für Vergleichende Politikwissenschaft/Comparative Governance and Politics 2:173–197. Arzheimer, Kai and Elisabeth Carter. 2006. “Political Opportunity Structures and Right-Wing Extremist Party Success.” European Journal of Political Research 45:419–443 DOI:10.1111/j.1475-6765.2006.00304.x. Arzheimer, Kai and Elisabeth Carter. 2009. “Christian Religiosity and Voting for West European Radical Right Parties.” West European Politics 32(5):985–1011 DOI:10.1080/01402380903065058. Bale, Tim. 2003. “Cinderella and Her Ugly Sisters: The Mainstream and Extreme Right in Europe’s Bipolarising Party Systems.” West European Politics 26:67–90. Bale, Tim, Christoffer Green-Pedersen, André Krouwel and Kurt Richard Luther. 2010. “If You Can’t Beat Them, Join Them? Explaining Social Democratic Responses to the Challenge from the Populist Radical Right in Western Europe.” Political Studies 58(3):410–426. Beirich, Heidi and Dwayne Woods. 2000. “Globalization, Workers and the Northern League.” West European Politics 23:130–143. Bélanger, Sarah and Maurice Pinard. 1991. “Ethnic Movements and the Competition Model. Some Missing Links.” American Sociological Review 56:446–457. Betz, Hans-Georg. 1994. Radical Right-Wing Populism in Western Europe. Houndmills, London: Macmillan. Betz, Hans-Georg. 2002. The Divergent Paths of the FPÖ and the Lega Nord. In Shadows Over Europe: The Development and Impact of the Extreme Right in Western Europe, ed. Martin Schain, Aristide Zolberg and Patrick Hossay. New York: Palgrave pp. 61–81. Betz, Hans-Georg. 2003. The Growing Threat of the Radical Right. In Right-Wing Extremism in the Twenty-First Century, ed. Peter H. Merkl and Leonard Weinberg. London: Frank Cass pp. 74–93. Beyme, Klaus. 1988. Right-Wing Extremism in Post-War Europe. In Right-Wing Extremism in Western Europe, ed. Klaus Beyme. London: Frank Cass pp. 1–18. Bjørklund, Tor and Jørgen Goul Andersen. 2002. Anti-Immigration Parties in Denmark and Norway: The Progress Parties and the Danish People’s Party. In Shadows Over Europe: The Development and Impact of the Extreme Right in Western Europe, ed. Martin Schain, Aristide Zolberg and Patrick Hossay. New York: Palgrave pp. 107–136. Boomgaarden, Hajo G. and Rens Vliegenthart. 2007. “Explaining the Rise of Anti-Immigrant Parties: The Role of News Media Content.” Electoral Studies 26(2):404–417. Bornschier, Simon. 2010. Cleavage Politics and the Populist Right. The New Cultural Conflict in Western Europe. Philadelphia: Temple University Press. Clark, Terry Nichols, Seymour Martin Lipset and Michael Rempel. 1993. “The Declining Political Significance of Social Class.” International Sociology 8:293–316. Cole, Alexandra. 2005. “Old Right Or New Right? The Ideological Positioning of Parties of the Far Right.” European Journal of Political Research 44:203–230. Crouch, Colin. 1999. Social Change in Western Europe. Oxford: Oxford University Press. Dalton, Russell J., Scott C. Flanagan and Paul Allen Beck, eds. 1984. Electoral Change in Advanced Industrial Democracies: Realignment or Dealignment. Princeton: Princeton University Press. de Lange, Sarah L. 2007. “A New Winning Formula? : The Programmatic Appeal of the Radical Right.” Party Politics 13(4):411–435 DOI:10.1177/1354068807075943. Evans, Geoffrey. 2001. Class and Vote: Disrupting the Orthodoxy. In The End of Class Politics? Class Voting in Comparative Context, ed. Geoffrey Evans. Oxford: Oxford University Press pp. 323–334. Fennema, Meindert. 1997. “Some Conceptual Issues and Problems in the Comparison of Anti-Immigrant Parties in Western Europe.” Party Politics 3:473–492. Fennema, Meindert and Christopher Pollmann. 1998. “Ideology of Anti-Immigrant Parties in the European Parliament.” Acta Politica 33:111–138. Flanagan, Scott C. and Aie-Rie Lee. 2003. “The New Politics, Culture Wars, and The Authoritarian-Libertarian Value Change in Advanced Industrial Democracies.” Comparative Political Studies 36(3):235–270 DOI:10.1177/0010414002250664. Fuchs, Dieter and Hans-Dieter Klingemann. 1989. The Left-Right Scheme. In Continuities in Political Action. A Longitudinal Study of Political Orientations in Three Western Democracies., ed. Kenneth M. Jennings and Jan van Deth. Berlin: de Gruyter pp. 203–234. Gallagher, Michael, Michael Laver and Peter Mair. 2011. Representative Government in Modern Europe. 5 ed. London: McGraw-Hill. Gibson, Rachel K. 2002. The Growth of Anti-Immigrant Parties In Western Europe. Lewiston: Edwin Mellen Press. Ignazi, Piero. 1992. “The Silent Counter-Revolution. Hypotheses on the Emergence of Extreme Right-Wing Parties in Europe.” European Journal of Political Research 22:3–34. Ignazi, Piero. 2003. Extreme Right Parties in Western Europe. Oxford u.a. : Oxford University Press. Ivarsflaten, Elisabeth. 2005. “The Vulnerable Populist Right Parties. No Economic Realignment Fuelling Their Electoral Success.” European Journal of Political Research 44:465–492 DOI:10.1111/j.1475-6765.2005.00235.x. Keman, Hans. 2011. “Third Ways and Social Democracy: The Right Way to Go?” British Journal of Political Science 41(3):671–680 DOI:10.1017/S0007123410000475. Kitschelt, Herbert. 1994. The Transformation of European Social Democracy. Cambridge: Cambridge University Press. Kitschelt, Herbert. 1995. The Radical Right in Western Europe. A Comparative Analysis. Ann Arbor: The University of Michigan Press. Lipset, Seymour Martin. 1959. “Democracy and Working-Class Authoritarianism.” American Sociological Review 24:482–501. Mair, Peter. 2001. “The Green Challenge and Political Competition: How Typical is the German Experience?” German Politics 10(2):99–116. Mayer, Nonna. 1998. “The Front National in the Plural.” Patterns of Prejudice 32:4–24. Mayer, Nonna. 2002. Ces Français qui votent FN. Paris: Flammarian. McGann, Anthony J. and Herbert Kitschelt. 2005. “The Radical Right in The Alps. Evolution of Support for the Swiss SVP and Austrian FPO.” Party Politics 11:147–171 DOI:10.1177/1354068805049734. Merrill, Samuel and Bernard Grofman. 1999. A Unified Theory of Voting. Cambridge, New York: Cambridge University Press. Mitra, Subrata. 1988. The National Front in France – a Single-Issue Movement? In Right-Wing Extremism in Western Europe, ed. Klaus von Beyme. London: Frank Cass pp. 47–64. Mudde, Cas. 1996. “The War of Words. Defining the Extreme Right Party Family.” West European Politics 19:225–248. Mudde, Cas. 1999. “The Single-Issue Party Thesis: Extreme Right Parties and the Immigration Issue.” West European Politics 22(3):182–197. Nieuwbeerta, Paul and Nan Dirk Graaf. 2001. Traditional Class Voting in Twenty Postwar Societies. In The End of Class Politics? Class Voting in Comparative Context, ed. Geoffrey Evans. Oxford: Oxford University Press pp. 23–56. OECD. 1992. Trends in International Migration. SOPEMI. Paris: OECD. OECD. 2002. Benefits and Wages. OECD Indicators. Paris: OECD. OECD. 2003. OECD Employment Outlook. Towards More and Bettter Jobs. Paris: OECD. OECD. 2004. Quarterly Labour Force Statistics (Heft 4). Paris: OECD. Oesch, Daniel. 2008. “Explaining Workers’ Support for Right-Wing Populist Parties in Western Europe: Evidence from Austria, Belgium, France, Norway, and Switzerland.” International Political Science Review 29(3):349–373. Prowe, Diethelm. 1994. “”Classic” Fascism and the New Radical Right in Western Europe: Comparisons and Contrasts.” Contemporary European History 3:289–313. Riedlsperger, Max. 1998. The Freedom Party of Austria: From Protest to Radical Radical Right Populism. In The New Politics of the Right. Neo-Populist Parties and Movements in Established Democracies, ed. Hans-Georg Betz and Stefan Immerfall. New York: St. Martin’s Press pp. 27–43. Rydgren, Jens. 2003. “Meso-level Reasons for Racism and Xenophobia. Some Converging and Diverging Effects of Radical Right Populism in France and Sweden.” European Journal of Social Theory 6:45–68. Rydgren, Jens. 2005. “Is Extreme Right-Wing Populism Contagious? Explaining the Emergence of a New Party Family.” European Journal of Political Research 44:413–437. Rydgren, Jens. 2008. “Immigration Sceptics, Xenophobes or Racists? Radical Right-Wing Voting in Six West European Countries.” European Journal of Political Research 47(6):737–765 DOI:10.1111/j.1475-6765.2008.00784.x. Schain, Martin, Aristide Zolberg and Patrick Hossay, eds. 2002. Shadows Over Europe: The Development and Impact of the Extreme Right in Western Europe. New York: Palgrave. Schmitt, Hermann, Evi Scholz, Iris Leim and Meinhard Moschner. 2009a. The Mannheim Eurobarometer Trendfile 1970-2002. Data Set Edition 2.01. Appendix. Gesis. Schmitt, Hermann, Evi Scholz, Iris Leim and Meinhard Moschner. 2009b. The Mannheim Eurobarometer Trendfile 1970-2002. Data Set Edition 2.01. Codebook and Unweighted Frequency Distributions. Updated by Iris Leim and Meinhard Morschner, ZA Cologne. Gesis. Taggart, Paul. 1996. The New Populism and the New Politics. New Protest Parties in Sweden and in Comparative Perspective. Basingstoke: Macmillan. UNHCR. 2002. 2002 UNHCR Statistical Yearbook. United Nations High Commissioner for Refugees. van der Brug, Wouter. 1999. “Voters’ Perceptions and Party Dynamics.” Party Politics 5:147–169. van der Brug, Wouter and Joost van Spanje. 2009. “Immigration, Europe, and the ‘New’ Cultural Dimension.” European Journal of Political Research 48(3):309–334 DOI:10.1111/j.1475-6765.2009.00841.x. van der Brug, Wouter, Meindert Fennema and Jean Tillie. 2000. “Anti-Immigrant Parties in Europe: Ideological or Protest Vote?” European Journal of Political Research 37(1):77–102. Warwick, Paul V. 2002. “Toward a Common Dimensionality in West European Policy Spaces.”. 1I will treat these two terms as interchangeable through the remainder of this chapter. 2For a slightly different account of these developments see van der Brug and van Spanje (2009), who claim that European parties’ actual policy proposal can still be arranged on a single vector even though parties and voters operate in a two-dimensional space. 3Gallagher, Laver and Mair subsume five party families under this label: Christian democrats, Conservatives, Liberals, Agrarian and Centre parties, and the Far Right. 4Other authors, however, have highlighted the strategic opportunities that the rise of the new party family may present for the right as a whole if and when the Extreme Right can be brought into a coalition (Bale, 2003). 5Consequently, the rise of the Extreme Right has sometimes been framed as a “silent counter-revolution” (Ignazi, 1992) against the growing influence of the New Left and their post-materialist electoral base. 6These feelings are related to, but not identical with xenophobia and racism (Rydgren, 2008). 7See e. g. van der Brug, Fennema and Tillie (2000) and Arzheimer (2009b) for reviews of the importance of ideology and Arzheimer and Carter (2009) for the nexus between class and attitudes. 8The OECD does not provide Standardised Unemployment Rates for Luxembourg. Thus, the country had to be excluded from the series of models presented in section 4. 9Homemakers were coded according to the occupation of the householder, if available. 10For the construction of the two latter variables, positions were weighted with the parties’ shares of the vote. In some cases, elections were contested by two or more parties codes as Social Democratic by the CMP. See section 4 for details. 11East and West Germany are treated as two separate polities. 12ρ equals the proportion of total variance contributed by σu. 13To ease the estimation and interpretation, a number of interaction effects and relatively stable macro variables were dropped. Moreover, all attitudinal and most socio-demographic variables were dropped, since they do not vary much in this subset of working class voters. The findings for many variables are somewhat different from those reported in Arzheimer (2009a) because they apply to a more limited choice set and a subsample of the original data. 14The salience variable was always constructed as an weighted average over all Social Democratic party positions in the respective election (if applicable). 15The estimated factor change in the odds is exp(0.007 × 261) = 6.